Come home to the convenience and privacy of this vibrant community on The Bear Creek Golf Course. 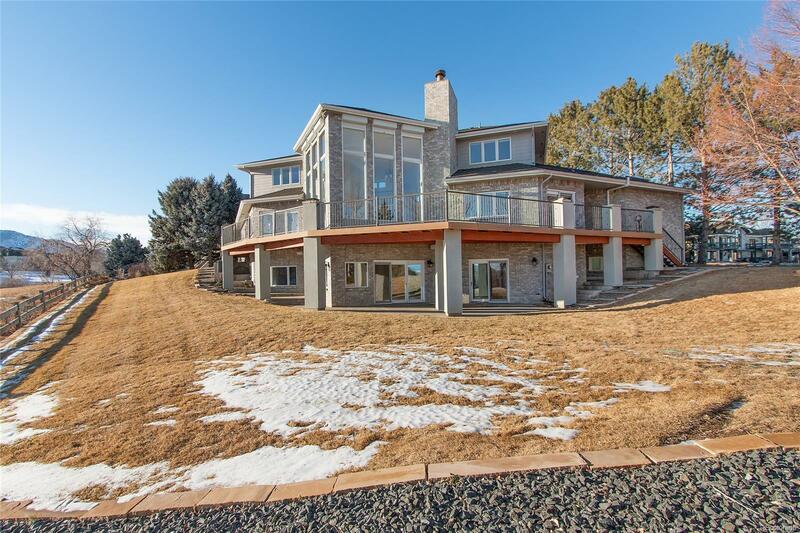 The thoughtful design and features of this gorgeous custom finished home will not disappoint. Magnificent great room with floor to ceiling windows and an open floor concept. Excellent layout with expansive main floor master that flows out to the impressive, south facing deck - Complete with two walk-in closets and spacious newly remodeled ensuite master bath with in-floor radiant heating. Every extra you could want with a sunny walkout lower level, theater room, gaming area with wet bar and 2 more bedrooms. Take in the magnificent city and mountain views all the way to Pikes Peak as you enjoy the expanse of adjacent Bear Creek Valley Golf Course. Spacious 4 car garage for all of your toys. Conveniently located near Bear Creek Lake Park and Red Rocks Amphitheatre. Donât miss the virtual tour for more photos and the video walkthrough!